Okinawa (also known as Ryukyu) is a chain of small islands located in the east coast of the Asia continent and it belongs subtropical oceanic climate. The people in Okinawa have been blessed with and depended upon resources from its rich biodiversity, which is in turn supported by humid weather and coral reefs. The ideas of sustainable development and ecosystem management can be found in historical record that dates back to a period between the 15th century and the beginning of the 16th century. A comprehensive forest management system was established about 300 years ago. The ideas, practice, and systems of bio-resource management in Okinawa were quite similar to those of the Convention on Biological Diversity (CBD). Historical documents illustrated the society of Okinawa at that time was marked by well maintained social order and beautiful sceneries of towns and villages. The reputation of Okinawa as such was spread to other parts of the world through foreign visitors. Okinawa was indeed flourished with rich economy and culture, which were nourished by its trade with Japan, China, Korea, and Southeast Asia. Okinawa also played an important role for cultural and material exchange across East Asia and the Western Pacific. All of this enabled Okinawa (Ryukyu) to gain an honored place in the history of the world. The history of Okinawa from the end of the 19th century to the present 21st century has been marked by experience of military and economic colonialism from Japan and United States of America (USA). The Battle of Okinawa in the Pacific War (WWII) took one quarter of the lives of civilians in Okinawa, and severely damaged mountains, forests and the sea. After the war, a 27 year-long US military occupation followed. During the occupation era, people’s land and houses were deprived to construct US military bases and these military bases and military controlled areas were then expanded further into mountains, forests, and the sea. The Japanese government, now sovereign government, played its role in the US military occupation of Okinawa. The Futenma Air Station and Kadena Air Base are some of the examples of how people’s lands and livelihoods were deprived and converted into military bases. The Futenma Air Station was constructed by bulldozing the residential district, including the Ginowan village office, school buildings, agricultural fields, and natural landmarks while the residents of the areat were placed in refugee camps. The construction of military bases resulted in devastating loss of biodiversity in mountains, forests and the sea. 37 years has passed since the reversion of Okinawa to Japan from US occupation took place. Still, much of the private lands deprived for military bases has not been returned and many important parts of Okinawa islands are still occupied by US bases. This situation has prevented the people from living the lives they wish to live in terms of productivity, economy, and culture. Moreover, US military operations in Okinawa do not follow diplomatic agreements made between the Japanese and US governments. As the Japanese government is unwilling to change the situation, the situations often infringe upon the human rights of people in Okinawa. The burden of US military presence also affects local administrations and their legal systems, particularly in terms of development. Development projects are highly subsidized by the central government as a form of compensation for Okinawa’s bearing of US bases. As a result, the excess of development projects has contributed to the degradation and loss of natural and social environments. The ongoing-plans to relocate US military bases from the existing areas to other areas within the region of Okinawa (Ryukyu) is driving Okinawa’s environment further towards destruction. While Japan as a whole is considered as one of the biodiversity “hotspots” in the world, Okinawa is recognized as a particularly diversity-rich area within Japan. However, Okinawa is also regarded as one of the “hotspots” of military strategy in the Pacific. The continuing existence of Okinawa as a hotspot of military strategy is against the will of the people in Okinawa. If this situation of military colonialism and the history of discrimination which has sustained military colonialism continue, the ethnic cultures and languages of Okinawa, which have been closely linked to the rich biodiversity of the region, will be lost all together. Also, if this present situation continues, a loss of “gene library” of the vast Western Pacific region, comprising of East Asia, Southeast Asia, Polynesia, Oceania, Japanese archipelago, becomes reality. The biodiversity of Okinawa is fragile and vulnerable because of the size of the islands and the nature of island biodiversity. Only a very narrow window is left for conservation of biodiversity. The will of the people in Okinawa is however clear. As shown in “the Okinawa 21st Century Vision”, the people envision the furture of Okinawa as a place with rich biodiversity and environment and the movement towards this vision has already began. No reason can affirm the destruction of this movement, self-determined as a consensus of local communities, to recover harmonious life with sustainable rich biodiversity. We urge the Japanese government to make fundamental changes in the legal systems which have created the unfair military, economic, and environmental conditions in Okinawa. We also urge the Japanese government to negotiate with the US government to fundamentally ameliorate the “operating procedures” of US military in Okinawa and to make utmost efforts to help realize a “peaceful Okinawa without military bases”, which the majority of the people in Okinawa support. We urge the US government to take initiative to resolve the burden of US military bases, presence and operation, in Okinawa, which has deprived the people in Okinawa of sovereignty, has caused degradation and loss of livelihoods, of development, and of biodiversity. 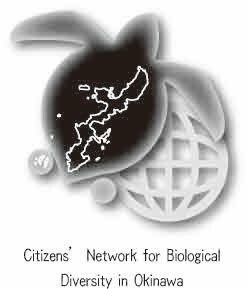 We also call on all the Parties to the CBD to collectively encourage both Japanese and US governments to be responsible for the crisis of Okinawa’s biodiversity and to actively participate in achieving the objectives of the CBD.